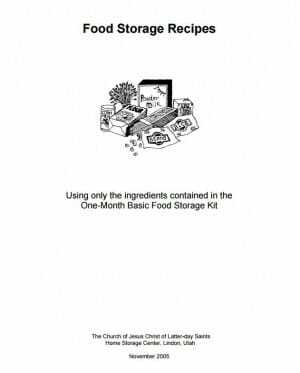 The book Food Storage Recipes can be downloaded for free. It covers cooking with the foods that are available from the Dry Pack Centers with only one thing added and that is cooking oil or shortening. 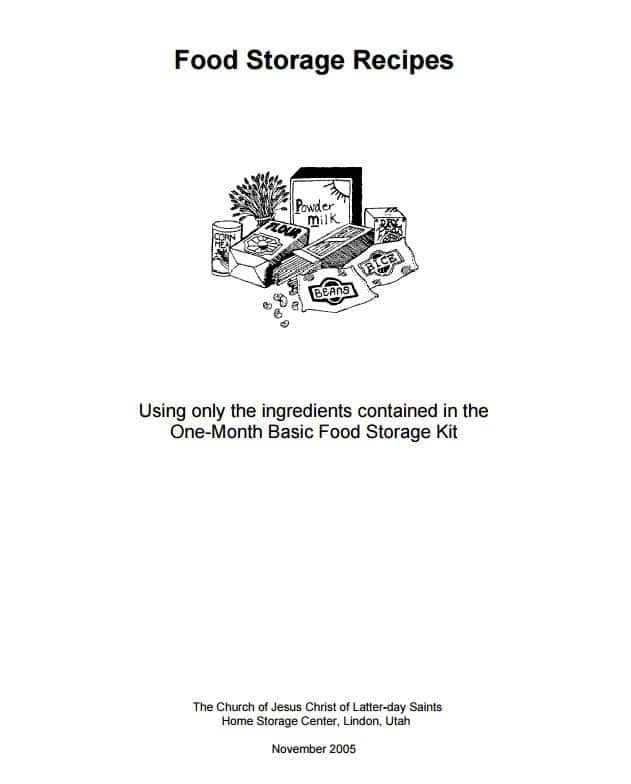 The free LDS recipe book contains a surprising number of recipes, including such things as emergency baby food, information on sourdough starters and sprouting. On page, one of the book, there is a list of the shelf lives of the foods used in the recipes. This is an older list and is not totally accurate. If you look at the order form, put out by the LDS Dry Pack center, it shows the current shelf life information. Hopefully this free LDS recipe book will help you with your cooking. Don’t wait until the last minute, start trying these recipes now. As you do, you will come up with new ideas of your own. You will find additional foods that you will want to add to your storage to make these recipes more suited for your family. This entry was posted in books, cooking, food storage, recipes and tagged cooking, free LDs Recipe Book, recipes. Bookmark the permalink. Thanks, you always have some great information and ideas much appreciated! I’ve now downloaded this document and will soon make a print-out of it to read at my leisure. I’ve scanned it and it contains lots of information that is useful to me. Thank for sharing. I have downloaded this. I will learn many new repices.